I think tonight was either my 14th or 16th permanent World War II veteran gallery show opening this year. Two month break for now! 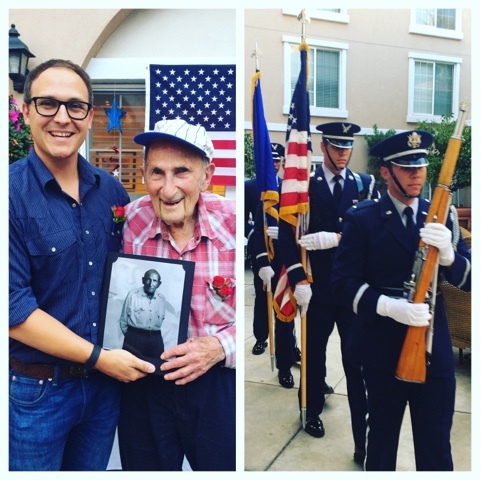 On the left is me with Izzy, one of the World War II veterans I photographed. Such a nice guy. And on the right is the color guard for the opening ceremony.